Have no time to watch live of Rugby World Cup 2015 on TV or online? 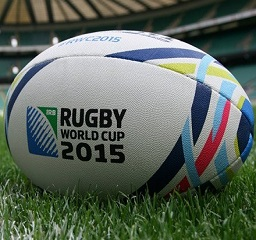 Free Download HD MP4 Rugby World Cup 2015 videos from YouTube for playback on iPhone/iPad/Android anywhere anytime. Rugby World Cup (simplified RWC) is a quadrennial international tournament of rugby union, a contact team sport deriving from a game of English school football at Rugby School in the early 19th century, firstly co-hosted by New Zealand and Australia in 1987. Rugby World Cup 2015, the eighth Rugby World Cup which will be held from September 18 to October 31 2015 in England, is expected to bring audiences splendid matches and recognized as one of the must-see championships in 2015. This article is here aiming to help rugby lovers free download Rugby World Cup 2015 videos from YouTube, ESPN, Dailymotion, Vimeo and more video-sharing sites using the best free sports video downloader within a couple of minutes. How to Free Download RWC 2015 Videos? Officials are willing to upload Rugby World Cup 2015 videos to YouTube or other popular sports video-sharing sites for promotion and sharing as well as some fans that are lucky dogs having chance to watch live performance may upload recorded videos by camcorders. Therefore, it is easy to discover various videos of RWC 2015, such as promo video, opening/closing ceremony, whole fixtures during competition and so on. If you prefer to free download Rugby World Cup 2015 videos in for playback on iPhone/iPad and Android smartphones/tablets on the move, WinX YouTube Downloader is a good helper. WinX YouTube Downloader is a professional online video download program able to free download SD, 720p/1080p HD, 4K/8K UHD RWC 2015 videos in MP4/FLV/WebM/3GP format as well as download any other sports videos (for example Rio 2016 Olympics, NBA Playoffs, UEFA Euro 2016), music videos, movies, game videos from over 300 video sites at a very high speed. Due to a clean design with adware/spyware/virus free, WinX YouTube Downloader is absolutely safe to downloader without messing up your computer. 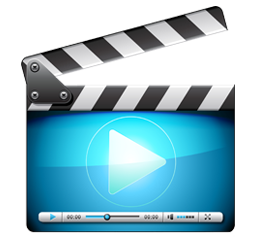 WinX Free YouTube Downloader - Free download RWC 2015 videos, for example performance videos on opening and closing ceremony, fiercest fixtures, and other popular videos quickly and safely. 1. After opening WinX YouTube Downloader, hit the first link-shaped icon on navigation bar to enter a smaller window for video info access. 2. Copy and paste YouTube URL of one RWC 2015 videos which you want to download to address bar. 3. Hit Analyze button to get information of this video, including title, duration, and version varying from resolutions, sizes, codec and formats. Select 1920x1080 HD version in MP4 format and click OK.
4. Save the downloaded video to target folder if necessary and Hit Download button to start Rugby World Cup 2015 videos free download. * Free Download SD/HD/4K UHD Rugby World Cup 2015 videos and other movies/music/game guide videos from 300+ video-sharing sites. 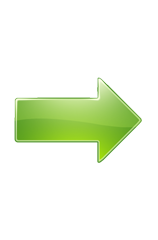 * Convert any online videos and HD movies/videos (MKV, MTS, MOD etc.) to AVI, WMV, MOV, iPhone, iPad, Android, Windows Phone (10/8), Surface Pro, Xbox, PS3/4, Kindle Fire etc, and deliver possible highest quality.